I picture Pastels with everything Fondant and Sugary and then the whole color talk becomes more of edible than being fashionable ! I was waiting to put together my new Pastel Prada SS'14 bag(my most viewed pin), and introduce it modestly to this seasons in-demand hues. 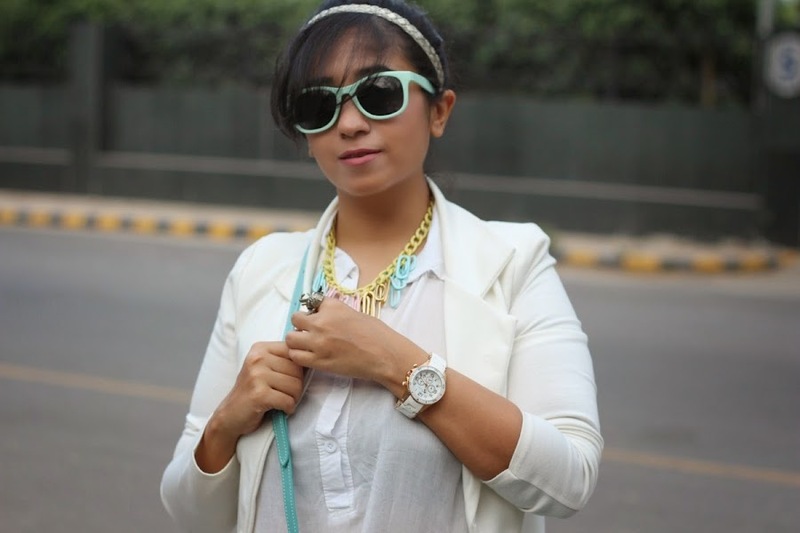 These Mint Sunnies are a recent buy from HM , and were just the right pick to get a Neopolitan Ice-cream look, and the rest of the Canvas was better put to white (they work the best this way) ! A great way to start wearing pastels is through the accents and when it comes to wearing this newly defined palette of noticeable colors, anyone can do it.One just have to choose the shade that works well, and then add a bit of extra drama. I thought it would be more dramatic to add a punch of sherbet something to my neck and brought about my lost and found necklace (I talked about here) before walking out that door . So tell me about it ! How would you add some drama in your pastel presence ? 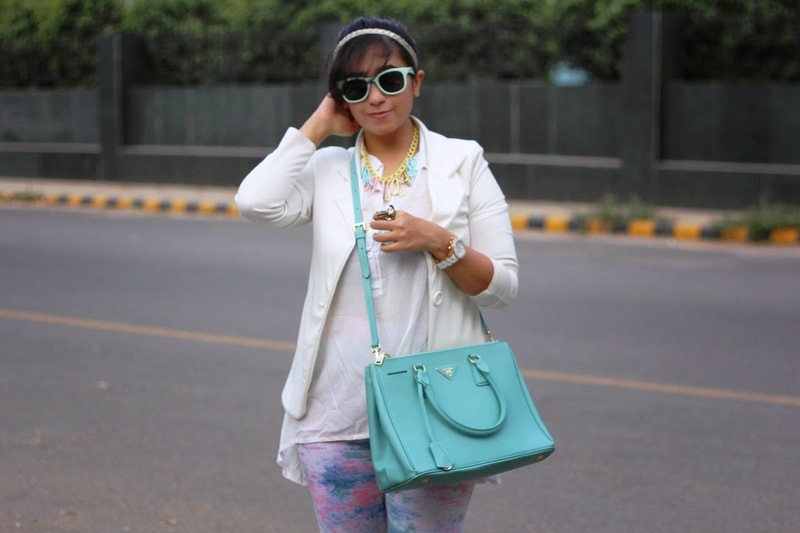 Is it the accessories which are played or you love getting Frocked up in a pastel color? U look just fabulous, the entire outfit is so fun and full of colors..
You look great! Love that color so much!!!!!!!!!! ohhhh, you look gorgeous! I love the sunnies and your matching bag is sweet. Perfect look! I love every detail and what amazing pants. Gosh..i love pasteks..n i love this look. Its so breezy and stylish. U inspire me so much. Great tips! 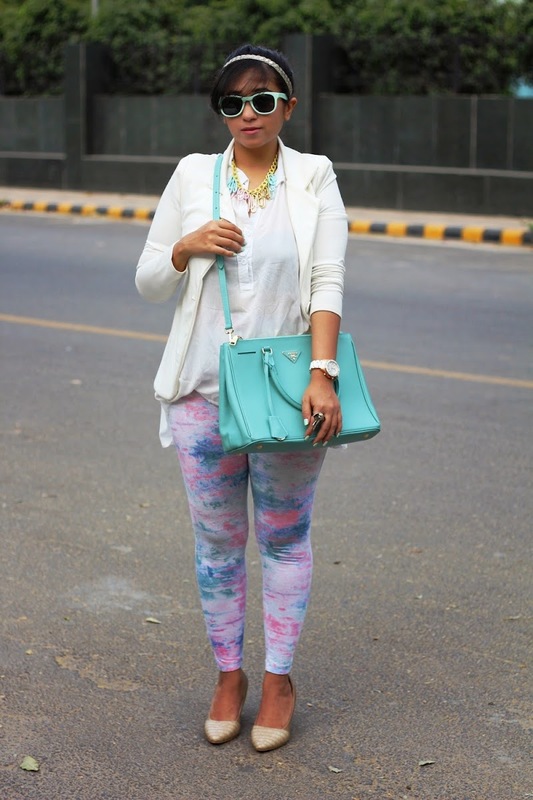 Lovely look, you look fantastic in pastels! Great look and tips! Love your bag and pants! I'm in love with the pastel trend, but i don't own alot of pastel colored items. I plan to dye my hair a pastel pink color, so maybe i don't need to buy alot of new accessories to keep up with the trend! Love the colors of this look! That dash of mint is just so refreshing! And love the pants too :) you look amazing! ✿ ✿ ✿ Style Spectrum ✿ ✿ ✿. 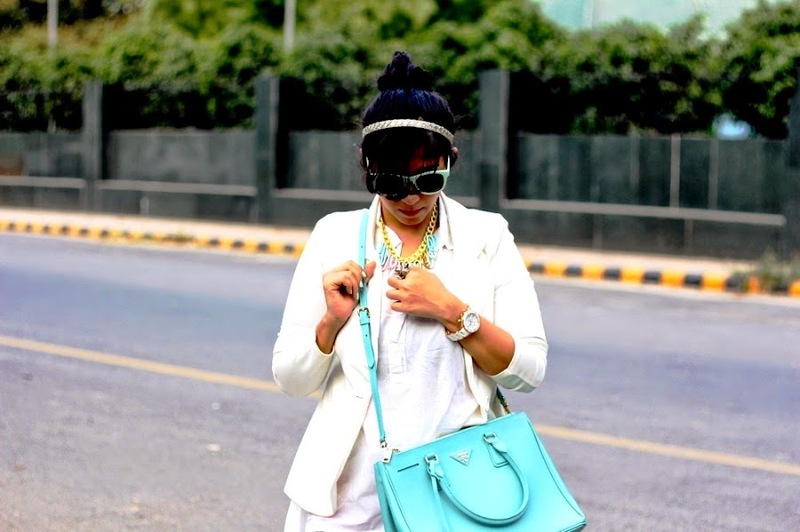 Amazing bag, love pastel colors! 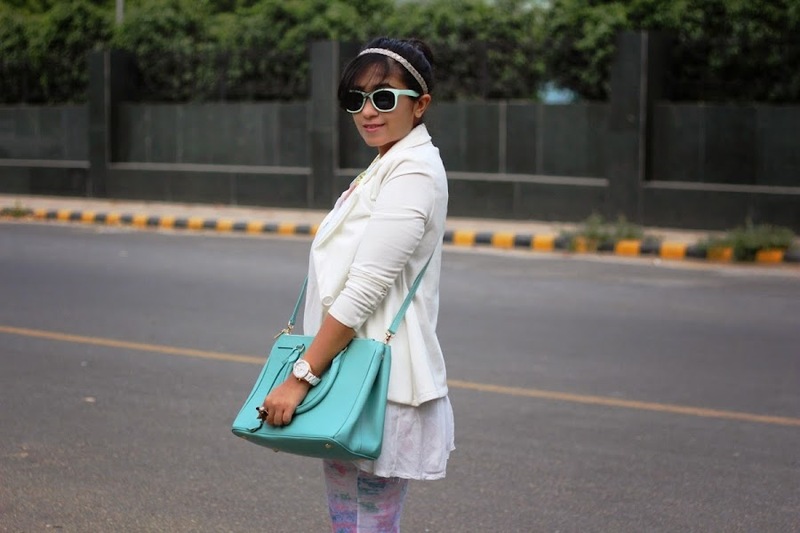 super sweet candy coloured outfit! 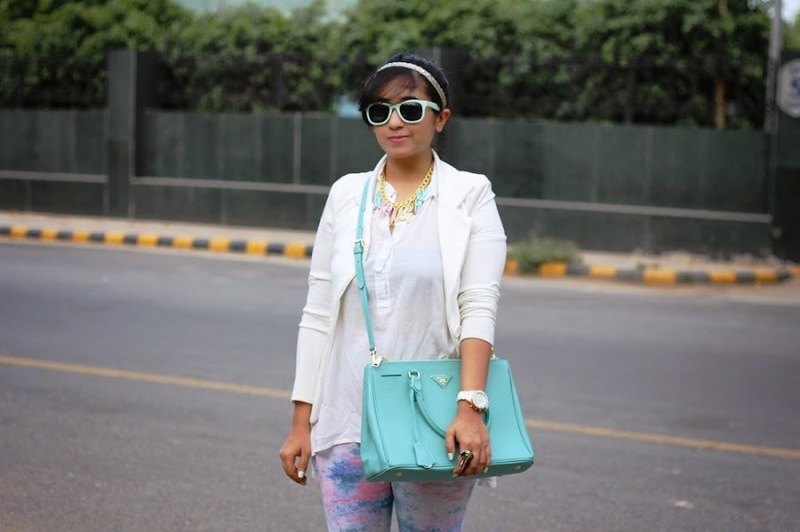 those tie dye pants and sunnies are super cute! you wear it very well! You look so stunning! Love your style ! OMG I love your Prada Saffiano!!! The color is absolutely beautiful <3 I have the smaller version in pink, but I like yours better! Hello! Thank you so much! Wow!!! Love those shades. In fact the entire outfit looks so cool. Have you changed the camera? Which camera? The pictures look so cool! I'm new follower, waiting for you. Hi Surbhi! I'm just loving this look!!! Those sunglasses and handbag are stunning! I love your bag!! Really fab outfit!! hi darling!! that's an amazing post!